After all the excitement of the Quilter's Take Manhattan event in NYC, we did manage to get some sewing in with friends. 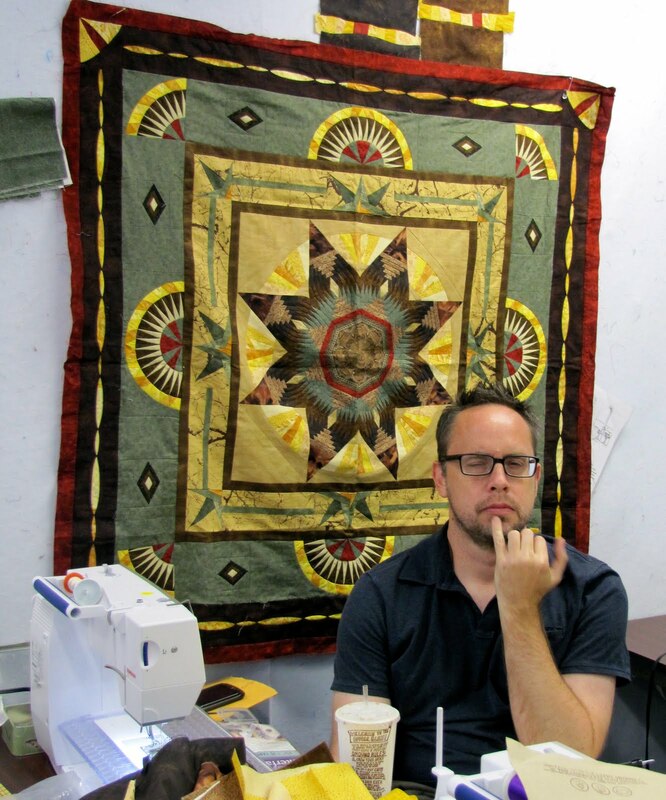 Everyone is a member of the NYC Metro Mod quilt guild and all extremely talented. I wanted to share some of the wonderful things that everyone was working on that day. First up, this was Earamicha's Alzheimer's Quilt. I just love it, it really says a lot don't you think? Well done. This one is by Victoria... Hmmm... I wonder if she had me in mind? They are totally my colors! 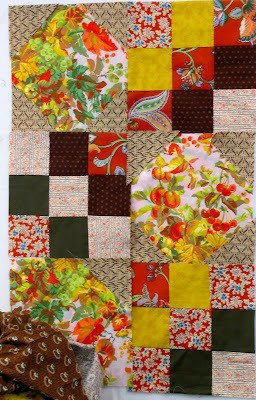 A quilt part of the Jay McCarroll challenge. This has his new line of fabric Habitat. A string quilt... Love it! David looking pensive, but in front of a very beautiful round robin quilt. 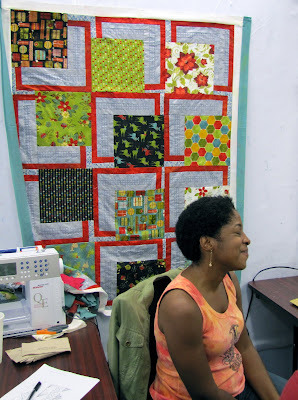 Teri Lucas gave a wonderful machine quilting demo. Hope to see you soon Teri! 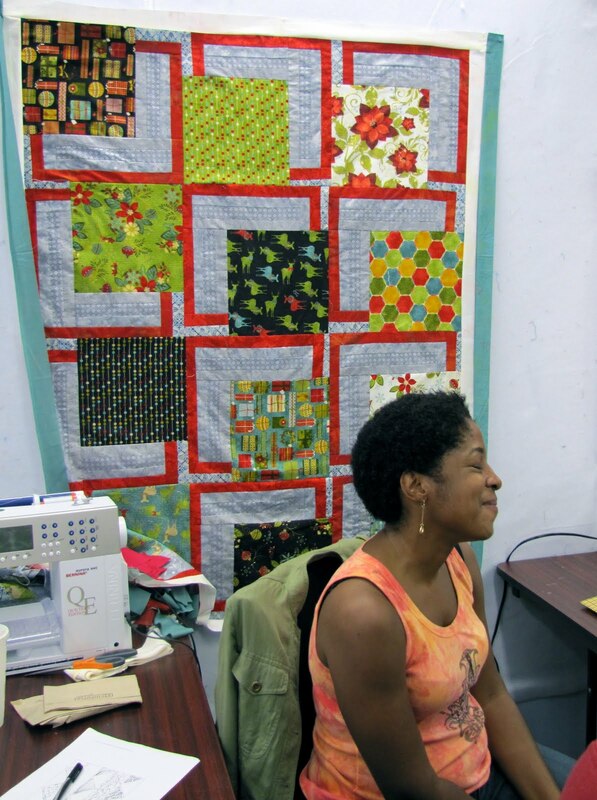 Earamicha in front of her wonderfully graphic quilt. 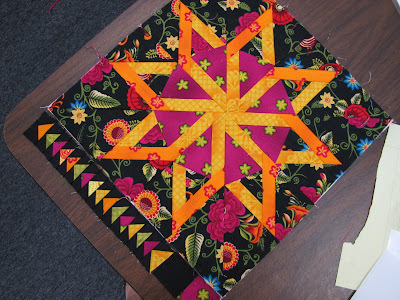 Kim's quilt in progress. I love the color mix. Here is my block. Yes, the block was already made. What I did manage to make that day was the very teeny tiny flying geese you see on the side of this block. One word for geese this small... Insane! Nicole with her beautiful Jay McCarroll challenge. Pomegranate was definitely the right choice, Nicole. 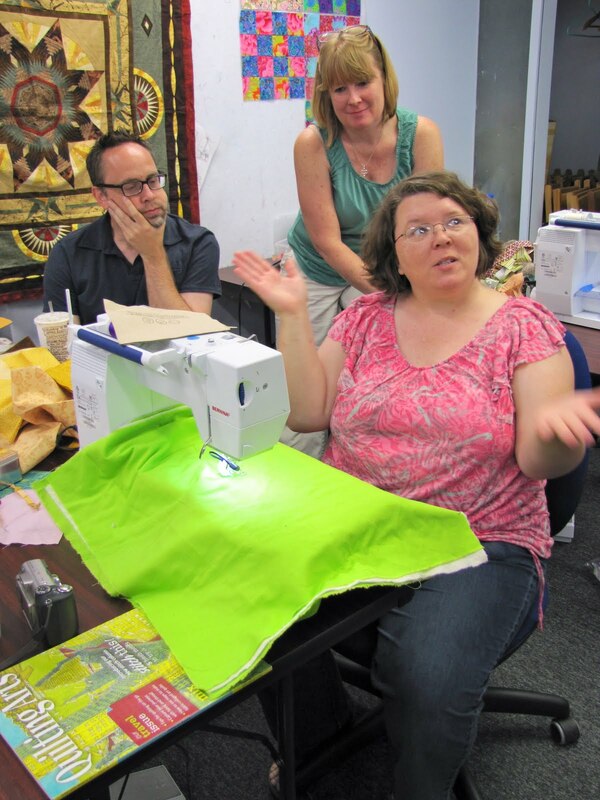 What a fun day and lots of inspiring projects! One last thing... don't forget that all Australian fabrics are marked to $7.95 per yard through Friday in my shop! Find yours by clicking here.